Got too much stuff? Whether you keep extra pots and pans ‘just in case’ or you’ve been holding onto every issue of your favourite magazine, you can’t stockpile everything forever. If you haven’t used it in over a year, it probably doesn’t belong in the house. And while you can keep extra stuff in offsite storage, sometimes it just feels good to purge and get organized. 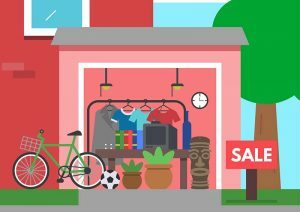 Summer is the best time for yard sales because you won’t get weather this predictable any other time of year (Calgary and Vancouver, you know exactly what we’re talking about). If you’re ready to declutter, reclaim your space and earn a little pocket change, read on. Sort and organize: Before you get started, decide what needs to go. Pull things off shelves, out of the basement, out of cupboards, and out of storage. Do you use it regularly? Does it still have a purpose? Does it make you happy? Does it have sentimental value? Decide which items are getting the boot. If it’s not in good shape–and be honest–recycle it or trash it. Don’t forget to clean or repair anything you intend to sell. Price it: What’s it worth? See what kind of value others put on each used item by looking it up on Craigslist, Kijiji, Facebook Marketplace, and other classified listings. People expect to get a great deal at a yard sale, so be prepared to lower your prices and haggle. If you’re getting rid of something valuable, you might want to save it and list it on Ebay or one of the sites we just mentioned. Prepare your displays: If you don’t have any spare tables, you can ask a neighbour or rent folding ones from your local community centre When you set up your yard sale, make sure there’s enough room to clearly display all of your goods. Anything that won’t fit on tables can be placed on beach blankets on the ground. List it: Create a listing on Craigslist or Kijiji (under ‘garage sales’) and be sure to include the date, time, address, and a sampling of the items you’ll have for sale. It’s important to mention possible keywords, so if someone is looking for ‘Scrabble’ or ‘child-sized picnic table’, you’ll come up in their search results. Make signs: The traditional garage sale sign is still a safe bet for drive-by traffic. Include the date, time and address–and if you’re hand drawing the signs, make sure they’re clear and easy to read. Make them waterproof by covering them in clear packing tape. Walk around the block and tape up (metal posts) or staple (wooden posts) the signs a couple of days before your sale. Most people don’t sell 100% of their items at a yard sale, and that’s normal. Go through whatever you have left. If you think something still has resale value, list it on a classified ads site. Donate everything else to your favourite local charity thrift store or community drive. Couldn’t sell it all? Need to put it somewhere while you figure out what to do next? 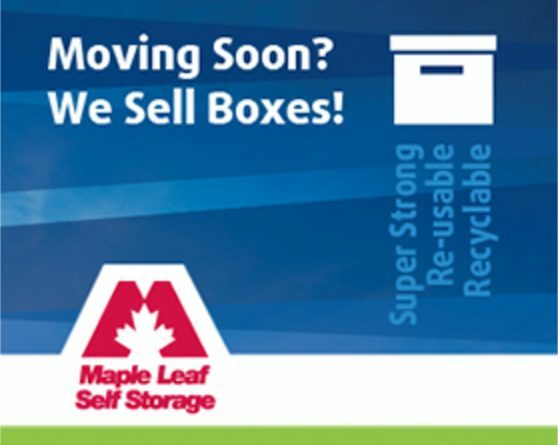 Take a look at some available storage units.